Creating an organization chart for supermarket helps divide the functions of each department of supermarket clearly and enables them work more efficiently. A supermarket is an urban commercial establishment that sells a wide variety of food and household products in a self-service system. It is larger and has a wider selection than a traditional grocery store, but is smaller and more limited in the range of merchandise than a hypermarket or big-box market. It typically comprises meat, fresh produce, dairy, and baked goods, aisles, along with shelf space reseved for canned and packaged goods as well as for various non-food items such as kitchenware, household cleaners, pharmacy products and pet supplies. Sometimes it also sells clothes, sports equipment and seasonal items. 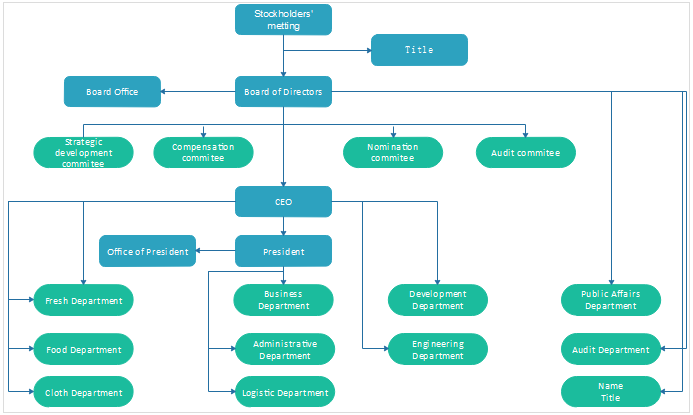 An organizational chart is a visual representation of how a firm intends authority, responsibility, and information to flow within its formal organizational structure. It usually depicts different management functions and show the relation of one department to another, or others, or of one function of an organization to another, o others. It is valuable in that it enables one to visualize a complete organization by means of the chart presents. 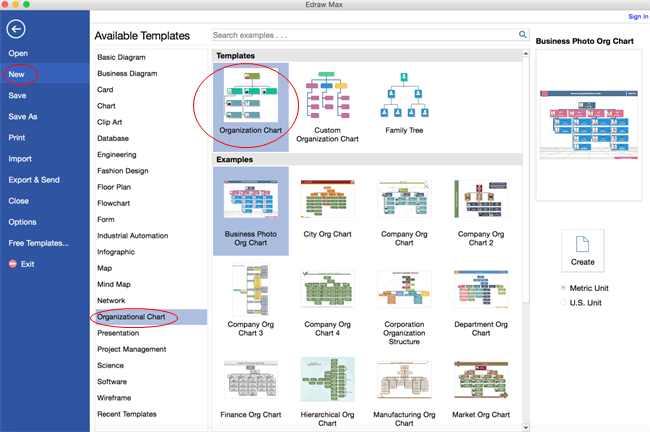 Edraw org chart creator simplifies the org chart drawing process within following four steps and it has almost already prepared everything users may need. Users just need a few mouse clicks to finishing following steps. On the File menu, go to New > Organizational Chart, and then double click the icon of Organization Chart in templates window to pen a blank drawing page for creating a organizational chart for supermarket. Drag and drop the shape to the canvas from the left library. Click the floating action buttons to add colleague and subordinate shapes. Double click a shape to type in text -> Press Ctrl + 2 to add more text boxes. Press Ctrl + shift + 2 to adjust text box. Choose a different font under Home tab. Customize the size, color and alignment by clicking the relevant menus. 4. Save or export completed organizational chart for supermarket. 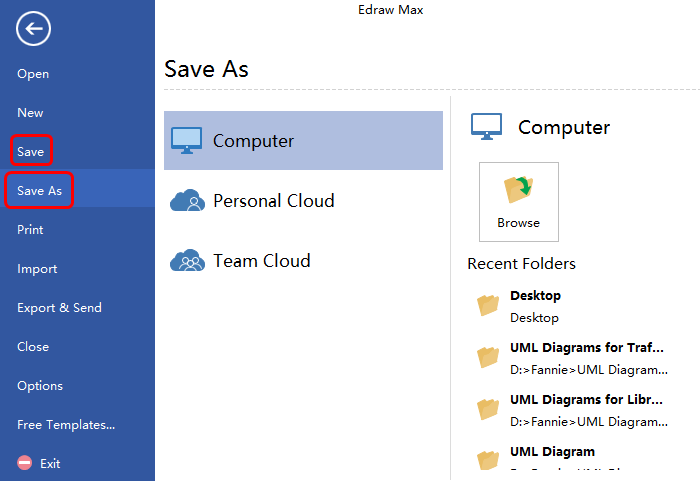 Click Save on File tab to save the organizational chart as the default format .eddx. Or choose Save as on File tab to save as other formats. Save in local files or save in your Cloud is up to yourself.